ISLAMABAD: The government informed the Supreme Court (SC) on Tuesday that it had seized former finance minister Ishaq Dar’s property in Pakistan and was also making efforts to extradite him. The additional attorney general was updating the court on the progress in the case a day after an accountability court asked the Punjab government to confiscate three plots owned by Dar, his spouse Tabassum and son Ali Mustafa. 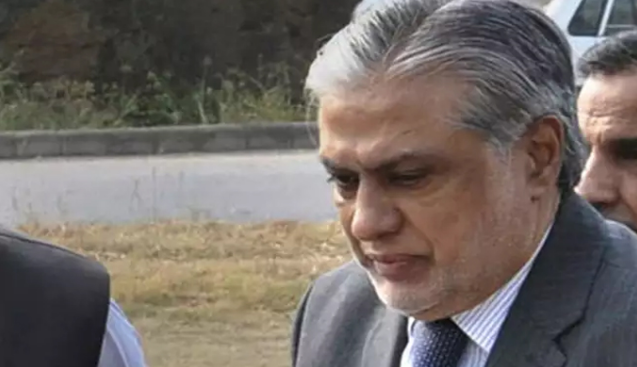 Dar has been declared an absconder in a reference pertaining to his assets. Following the attorney general’s remarks, the case’s hearing was adjourned for an indefinite period. A day earlier, Accountability Judge Mohammad Bashir, in his order issued on an application of NAB regarding confiscation of three more plots of Dar, had said that the plots had been placed at the disposal of the provincial government within the meaning of Section 88(7) of the Criminal Procedure Code. NAB special prosecutor Mohammad Imran Shafique had further informed the accountability court that the two vehicles — Mercedes Benz and Land Cruiser — could not be taken into possession as these were yet to be traced.